This article is 3282 days old. 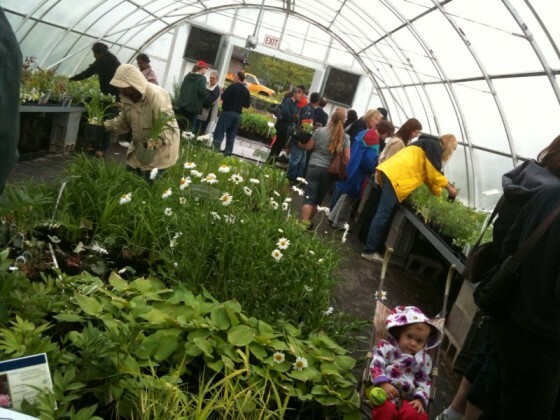 Early morning thunderstorms didn’t stop hundreds of green thumbs from attending the annual Lanspeary Park Greenhouse Plant Sale earlier today. Local gardeners flocked to Lanspeary Park, some as early as 7am, to scoop up rose bushes, basil, dill, cilantro plants, daylillies, lilacs and over 100 different perennial varieties. The City of Windsor’s Parks and Recreation Department holds the yearly plant sale to raise funds for the Paul Martin Garden at Willistead Manor. The plant sale runs until 2pm this afternoon.